This entry was posted in Prairie Insects, Prairie Natural History, Prairie Photography, Prairie Plants, Prairie Restoration/Reconstruction and tagged ecological resilience, ecological restoration, ecosystem function, ecosystem services, european settlement, evaluating, ford's theater, grassland restoration, great plains, how to restore prairie, landscape, landscape restoration, measuring success, metaphor, north america, prairie conservation, prairie fragmentation, prairie reconstruction, prairie restoration, pre-settlement condition, rebuilding a city, resilience, restoring process, saving prairie, seed harvest, seeding, success, successful restoration, theater restoration by Chris Helzer. Bookmark the permalink. Thanks for this post, Chris. The contrasting metaphors are a useful perspective. This was fantastic. Thank you. I think we need lots of new metaphors in ecological and environmental movements, because current perceptions seem to hinder more than help progression. The most telling sentence in your post is the last one: “After all, we’re not building for the past, we’re building for the future.” However, if we’re building for the future AND trying to do this specifically in locations that are isolated from other native populations – then does it make sense to try to manage for the health of native species that we know are viable within a certain sized area? If for example you’ve got 10 acres to work with in an area surrounded by cropland for a mile in every direction – is there a subset of native species that could / should be viable and could be managed for? I’ve got one of those small isolated ‘prairies’ that is brome-infested and at present just intend to eliminate trees, burn and watch and wait to see what native plants will be able to re-establish their dominance … but it would be nice to have some goals that are animal/insect-focused … and realistic given the isolation of the prairie. Teresa – yes, I think you’re on the right track. I know you read my post about how to manage small prairies, in which I presented some of my thoughts, so I’ll stick to that instead of restating it all. I do think that in your case, you want to pick objectives that match both your desires and the potential of your land. You’ll be able to do some great things – just don’t set unreachable goals! Very well stated and an important perspective. If I had it to bestow, I’d give you a “Steve Packard Award” for this essay. For those who missed it, at our Australian colleague’s ecological blog: http://ianluntresearch.wordpress.com/2012/05/18/steve-packard-was-my-steve-jobs/. Thanks to both of you – I’m glad you appreciated it. I would be honored to receive an award associated with Steve Packard. Hey Ian, You should come to the States and meet Stephen. He is even cooler in real life. His knowledge is encyclopedic. More important, perhaps, than finding the best metaphor is finding ways to cause more (and larger)prairie reconstructions to happen at all. You’re right, Ted. Having the ability to do something is not the same as having the opportunity. All the same, you can’t do the second without the first, so at least we’re part way there! I tend to think that we’ll find opportunities for large scale restoration in the coming years. As commodity prices, social pressures, and lots of other factors change, land use priorities change too. If we’d been where we are now when the 1985 Farm Bill created CRP, for example, we might have been able to put that program to better use (higher diversity, local ecotype seed mixtures and more strategic locating of the seedings near remnants, etc.). We need to be ready when the next big (or small) opportunity comes. We are just lacking the resources, political & social will to make it happen. Great metaphor BTW I will use that when I am presenting to people about the challenges we face in restoration. You had to pick a controversial topic for elections day. :) However, your metaphor is particular apt after hurricane Sandy. I’m going to play devil’s advocate. The fact is … seed of species we really want to establish is hard to obtain in any quantity. Everytime we sow that seed, we are placing a bet. History is a great predictor of success. However, other factors like soil moisture, soil chemistry, biological factors, topography, light levels (savannah and woodland), weather, etc. are important considerations in the absence of precise detail. Variable factors like fire regime, grazing regime, and preserve size will also effect the outcome. A species which never previously existed in an area may do quite well if introduced. An example locally is Royal Catchfly, Silene regia. Some would argue that restoration is taking resources away from conserving remnant ecosystems. I do not completely agree, but I have seen people focus on their restorations when higher priority work in actual remnants was not being accomplished. In summary, using history as a guide is important. If we are trying to recreate prairie, what could be a better measure of our success than to compare our restoration to an actual remnant? James, there is definitely value in using a historical context to help design seed mixtures that stand a good chance of establishing. As you say, however, it’s not always possible to predict which species will establish based simply on what used to be there. Conditions change because of farming history, fragmentation (and associated issues with edge, invasive species pressure, etc.) and of course climate. Also, trying to establish every plant species at once has inherent problems. However, the biggest problem I see with using remnants as reference sites is that those remnants have their own management history that has shaped the plant community – along with the soil and other conditions. 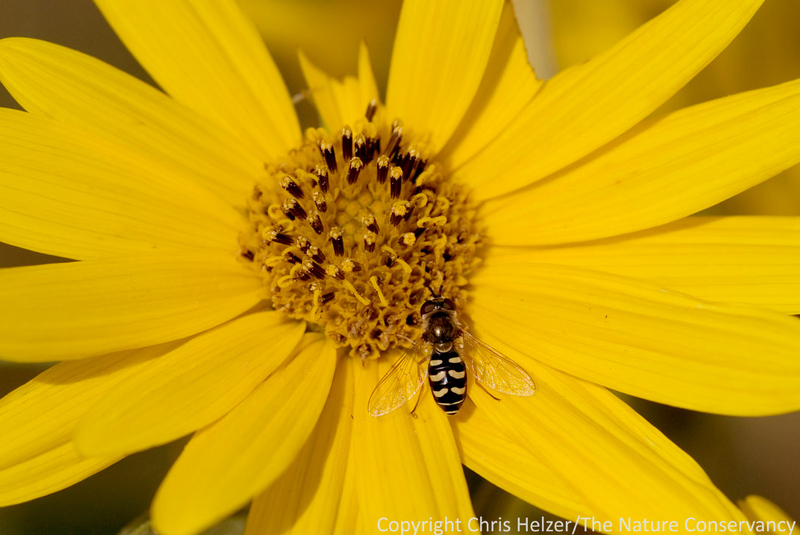 The plant community – relative abundance of species, at least – can change with management, so who’s to say the current community is what a nearby restoration “should” look like? 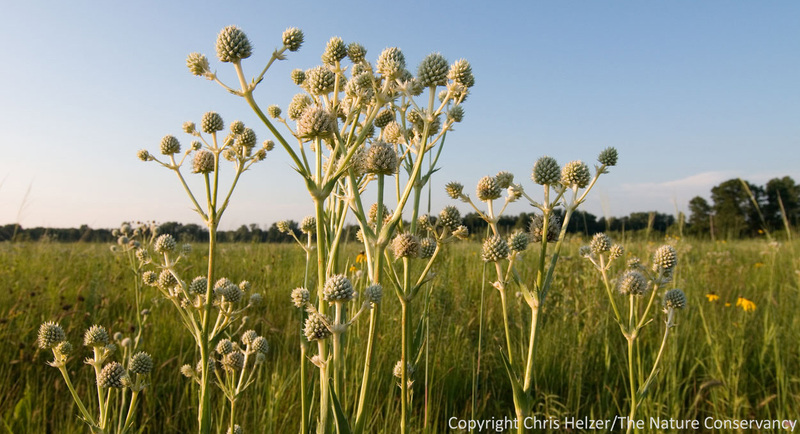 In fact, a restoration that has some different plant species and different relative abundances of species can act in a complementary fashion by providing resources not provided by the remnant – potentially improving conditions for the larger prairie. There’s nothing wrong with looking at existing remnants to get an idea of what potential exists for a restored plant community. But I think it makes more sense to look at a range of remnants to get a broad feel for potential rather than trying to match one particular remnant. And the biggest point I tried to make in this post was that success should be measured at a scale larger than an individual seeding project. ChrIs, I’m curious about possible plans for prairie restoration on the land being purchased to Provide water to the Republican river. Any discussions on how this land will be managed? I honestly don’t know anything about the land, where it’s at, or what the plans are. Sorry. I don’t even know who to direct you to for answers! I would think Kent Miller, Twin Platte NRD would be a good place to start. You’ve put into words what my husband and I experienced when we purchased 160 acres of Saskatchewan prairie in 2003. We returned cultivated sandy soil to mixed grasslands and eventually we found native species growing in the seeded grasses. Most exciting was standing amid the pollinators–the sky was hazy with them–and hearing frogs again in the dugouts and sloughs. Without chemical applications to the land the surface water cleared again and was usable for cattle and irrigating the garden. Native aspens also started to spread out, giving shelter. The wild animals (mostly foxes and moose) squatted with the cattle, taking full advantage of the straw bedding. I cried to leave it two years ago, but it was life-affirming to know how little it takes to see nature return itself to balance: mostly, a little time to be left alone to do its thing. I hope one thing that will be restored is the wildlife. Black-footed ferrets have been reintroduced back into Saskatchewan. I hope the greater prairie chicken will be reintroduced back as well soon. The swift fox has been re-established in both Alberta and Saskatchewan. Buffalo National Park in Alberta has led to the re-establishment of the plains bison.